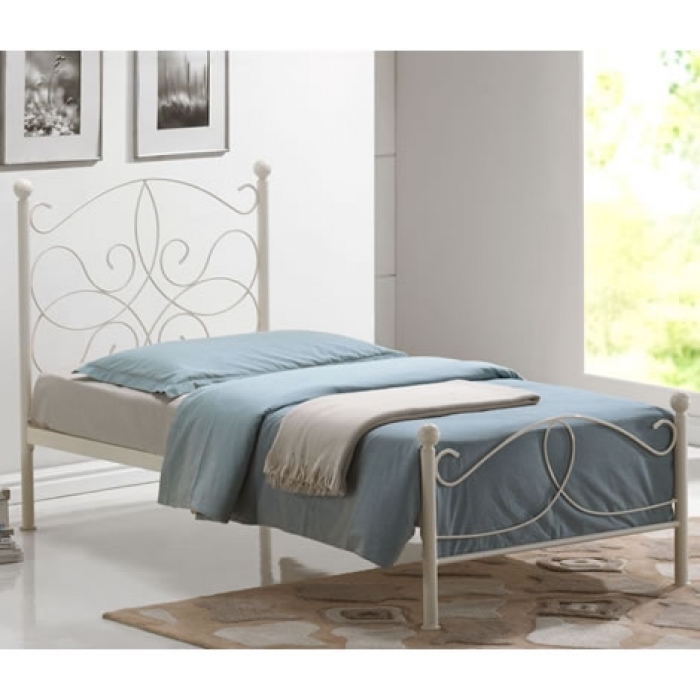 A uniquely styled single metal bed frame that is finished in ivory with a sprung slatted base. 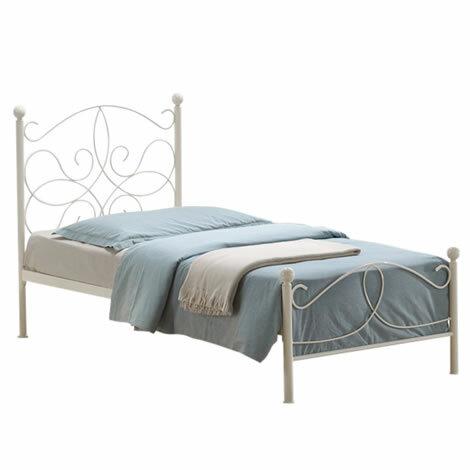 The Melissa Ivory Bed Frame is a striking metal bed frame featuring a detailed headboard with intertwining curved lines. 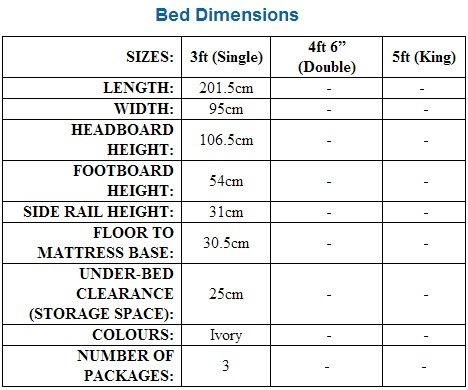 This attractive single bed frame would look great in a girls or guest room, and the sprung slatted base will keep the mattress in optimal condition.